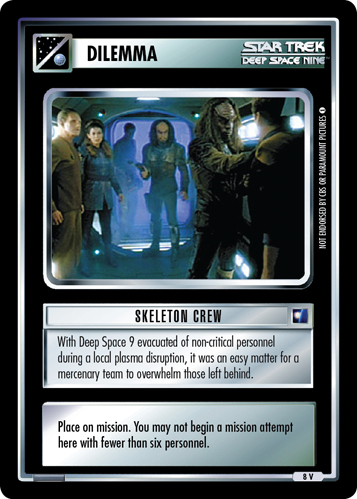 While investigating the Arsenal of Freedom on Minos, a sudden attack separated the crew of the Enterprise. 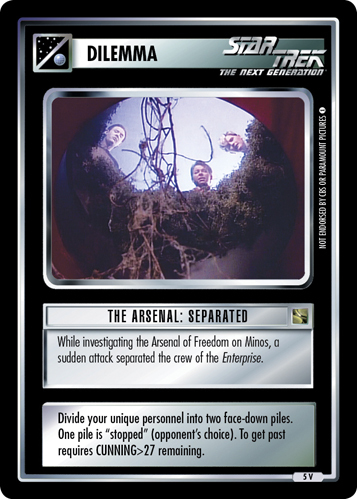 Divide your unique personnel into two face-down piles. One pile is "stopped" (opponent's choice). 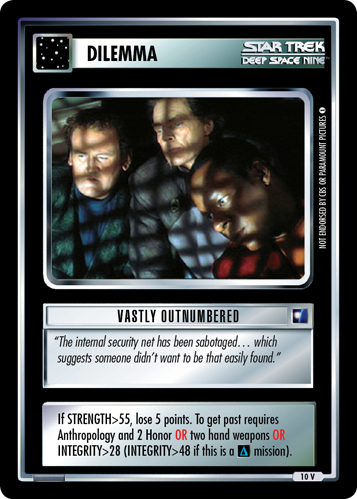 To get past requires CUNNING>27 remaining.